West Hartford, located in Hartford County, is in central Connecticut and borders the city of Hartford. A former parish of Hartford, area delegates petitioned the General Assembly to form their own town in 1854. An early farming area, West Hartford also had mills, tanneries, and blacksmith shops. By the late 19th century it was a thriving industrial area. Today, West Hartford is a mix of residential and commercial areas and is the home of the American School for the Deaf, the University of Hartford, and St. Joseph’s College. It is also the birthplace and childhood home of Noah Webster. “Bristol Gravesite.” Connecticut Freedom Trail, 2012. Link. “Jewish Historical Society of Greater Hartford,” 2017. Link. “Local History.” West Hartford Libraries, 2016. Link. 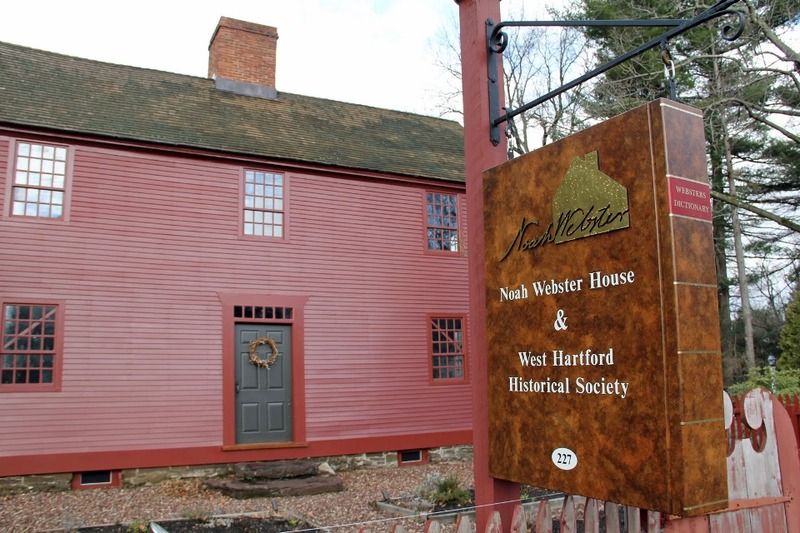 “Noah Webster House.” West Hartford Historical Society, 2016. Link. Rockwell, Frederick C. “Map - Town of West Hartford.” Hartford, CT: F. C. Rockwell, ca 1915. Connecticut History Online. Link. “West Hartford - WPA Architectural Survey.” Connecticut State Library Digital Collections, 2013. Link. “West Hartford History Online.” West Hartford Public Library, 2016. Link. Celebrate West Hartford, Miriam Butterworth, Ellsworth S. Grant, and Richard Woodworth. Celebrate! West Hartford: An Illustrated History. West Hartford, CT: Celebrate West Hartford, 2001. Burr, Nelson. From Colonial Parish to Modern Suburb: A Brief Appreciation of West Hartford. West Hartford, CT: Noah Webster Foundation and Historical Society of West Hartford, 1982. Connecticut Historical Society, and William S. Porter. “Historical Notices of Connecticut Published Under the Patronage of the Connecticut Historical Society - Containing Hartford and West Hartford.” Elihu Geer’s Press, 1842. Library of Congress. Link. Hoffman, Betty. Jewish West Hartford: From City to Suburb. Charleston, SC: History Press, 2007. Faude, Wilson. West Hartford. Portsmouth, NH: Arcadia, 2004.